Tenkara rods are delicate by their nature but they are not more fragile than other kinds of rods if you take care of them. We advise you to disassemble your tenkara rod after every use, to clean the inside of each segment with water and to make it dry in a cool place. Tenkara rods are designed for anglers targeting streams salmonids, if you use them to catch carp or salmon you do it at your own risk. We can not warranty a rod if it shows signs of any modification, negligent use or malicious damage. 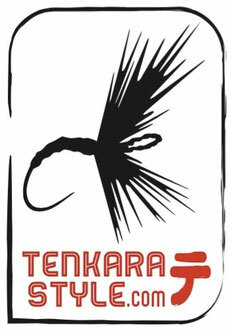 In case you think that your tenkara rod is defective, we invite you to get in touch with to find the easiest and fastest solution. Pull out each section with both hands holding it and gently slide them. Gently slide the section from the tip to the handle. This is exactly what to avoid. Collapsing several segments at the same time. If a segment gets stuck you might break your rod. Before sliding sections check that the line is not tangled in branches, stones and that you do not step on it. After that you can extend your tenkara rod. Always look around before casting because you might get caught with branches or rocks and so on. In this case DO NOT pull forcibly with your rod but catch your line in your hand, try to go where the line/fly is and unhook it. If possible do not let your hook in the trees because it might cause injuries to animals or other anglers. When you catch a fish on your tenkara rod keep cool because brutal hook setting might make you lose a beautiful trout and break your rod. Keep cool and the fish will visit your tamo! If your level line has coils when you put it out of the spool you need to stretch it. Attach your level line to a small tree and gently stretch it to remove the coils. NEVER stretch your line if it is connected to your tenkara rod!